This last week or so we’ve been on the road again, severely cutting into my reading time, but literary things have been happening, nonetheless. Yesterday, August 10th, was, as many of you know, National Bookshop Day and I did, in fact, visit a bookshop, Readings in Carlton, Melbourne. I bought Gerald Murnane’s Border districts, which brings me one step closer to reading this Miles Franklin shortlisted book. Daughter Gums and I also visited, next door, the Readings Kids bookshop, where she bought Alison Lester’s Rosie sips Spiders for a baby shower she was attending this weekend. It was so hard not to buy more, but you all know how behind I am in my reading so you’ll understand my abstemiousness! I’d love to hear what you did – if you are an Aussie – to support the day? A couple of days before National Bookshop Day we were driving to Melbourne from Canberra via one of the long routes, in this case via Cann River. It was an interesting drive that took us through some quite dramatic landscapes – from the shimmering yellow-white colours of the Monaro in drought to the lush green of south-east Victoria which is not! BTW Alison Lester was one of Australia’s Inaugural Children’s Laureate from 2011 to 2013, which I wrote about back then. One of our Melbourne traditions is to have a meal and see a movie with Daughter Gums. We usually go to Cinema Nova (across the road from Readings Bookshop.) It’s a big complex, but not at all like those big impersonal suburban multiplexes. The cinemas are mostly small, and many have rather idiosyncratic layouts, but the movie selection is wonderful. We decided to see The wife, starring Glenn Close and Jonathan Pryce, and adapted from Meg Wolitzer’s novel, that I haven’t read. It focuses on the responses and feelings of the wife of an author who is told he has won the Novel Prize for Literature. If you don’t know the story, I don’t want to spoil it, but it is a great film for booklovers, and, particularly, for women booklovers! I enjoyed seeing Glenn Close again in a meaty role. The story is full of issues to chew over about gender, morality, pride, vocation, relationships over the long haul, and about how a door chosen can have unexpected ramifications down the line. 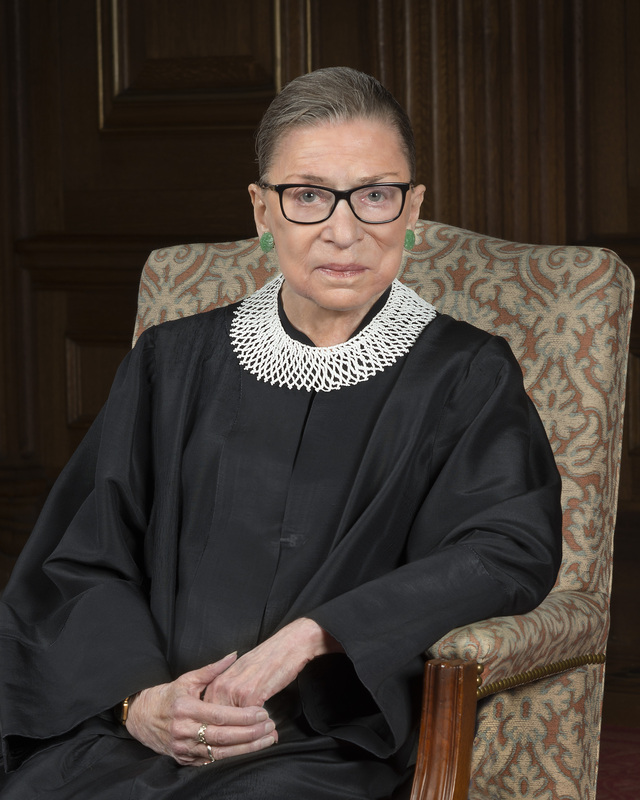 …there is something deeply soothing about RBG, a documentary that, like its subject, Supreme Court Justice Ruth Bader Ginsburg, is eminently sober, well-mannered, highly intelligent, scrupulous and just a teeny-weeny bit reassuringly dull. As I said, traditional in form, but the subject is so intelligent and her contributions to thinking about women’s rights so relevant beyond the USA, that the film kept us engaged from beginning to end. She is a fascinating woman with an inspiring capacity for clarifying the complex. Now, we didn’t quite see Bangarra Dance Theatre’s performance of Dark Emu this week but we did see it very recently so I’m sneaking it in here. This is Bangarra’s interpretation of Bruce Pascoe’s book Dark emu (my review) in which he argues that indigenous Australians were not hunter-gatherers but had an agricultural practice, a practice that better proves, in legal terms apparently, their “ownership” of the land. Since you’re down in Melbourne a bit lately, see if you can squeeze in a visit to Dromkeen, a museum of children’s literature. It’s outside Melbourne at Riddell’s Creek, but if you have the car, it should be do-able. Thanks Lisa… And one day when it’s more than a flying visit I’d like to organise a blogger catch-up. I have a book on Dromkeen. I checked it out once… Back around 2009 and think they have or had then limited opening hours so we didn’t get there. We really hope to spend a little more time here on our visits but so far it always seems to be squeezed in between other commitments. Sounds like you have had a fab time. So pleased you got to visit Fish Creek … I grew up in Koonwarra (which you would have driven through on way back to Melbourne) which is just down the road. In fact my sister, on a visit home last week, visited Alison Lester’s Gallery too and said how much she enjoyed it (she’s a primary school teacher). Oh thanks kimbofo. I didn’t realise that you were from that neck of the woods. We plan to explore Wilsons Prom more, at a better time of year, so I’ll make a note of noting Koonwarra! I spent my childhood holidays at Wilson’s Prom & every time I go back to Oz we always have a day trip there. Next time be sure to stop off at the Koonwarra Store, which is the perfect place for coffee & cake or lunch. I grew up just 300m up the road & my parents still live there. Looks like a beautiful place… It wasn’t a great day when we were there but we are keen to do some of the walks. Will try to remember the store! I can’t comment on your literary pursuits, as close as I get is when we were living nearby I got a book called Koonwarra the black swan (still have it, or the grandkids do). Much snow coming down through Cooma? No, not when we passed through Bill, but that was last Tuesday PM. We overnighted at Cann River, then Foster, then got to Melbourne. Tonight we’ll be in Rutherglen. I’d never heard of Koonwarra, and now you tell me there’s a book as well!? If you came from Wilsons Prom to Melbourne on the South Gippsland Highway (through Leongatha) then you came through it. Koonwarra seems to be widely used as the Indigenous word for Black Swan. Yes we did go through Leongatha but I don’t remember Koonwarra specifically. I was driving that stint and was too focussed on speed signs I think! I first heard of Leongatha when I meta high school teacher from there on a young people’s camping trip in early-mid 1970s. Could have been. I think his name was Rob Skiltern or Skilton. Ring a bell? Ha ha, Brian, I know what you mean. I’ve tried to control that addiction in recent years but have only been partially successful. Hi Sue, we probably cross paths on Saturday in Carlton. I was at the High Tea Nova Deluxe to see The Wife. Excellent movie and great acting. Before the film my friend and I visited Readings and I bought three books for my three grandsons. This month I have been buying books and have read two Australian ones. Noah’s Glass by Gail Jones, it was okay. The other one was The Everlasting Sunday by debut author Robert Lukins. It’s different and an interesting read. Wow, Meg, how funny. Would we have recognised each other after all these years? We were at the 1:45 screening. Lunched first at Ti Amo, then shopped at Readings, then the movie. We had to be at son’s place by 5:15 or so for our first grandchild babysitting. What fun! Hi Sue, we probably crossed paths without recognizing each other – what a pity. I was at Nova for the 3.40 screening, but at Carlton about 1.30. My friend and I had a coffee and sandwich at Brunetti’s. Then directly to Readings, and after book purchases looked at a few other shops in Lygon Street. I hope the baby was good for you, and all went well. I suspect we just missed each other – as I think by 1.30pm we were entering the cinema. So funny, eh? Anyhow, the movie was great … so many things to think about. The Bookshop at Queenscliff celebrated National Bookshop Day with a display of local authors. There are quite a few of us! It’s a wonderful bookshop, owned and run by two former Canberrans. Oh lovely Dorothy. We are hoping to spend more time exploring the areas around Melbourne in coming years. Queenscliff is on the list for further visits. Do you writers all connect at all ? I mean, meet up?